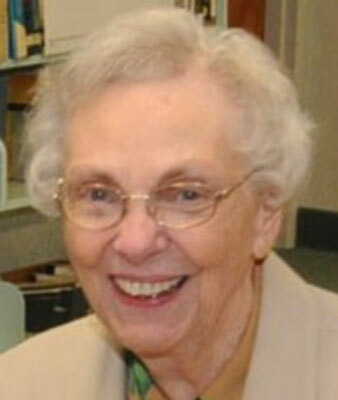 CANFIELD – Sister Mary O’Leary, OSU, died at the Ursuline Motherhouse on Sunday Jan. 20, 2019. She was 87. Mary O’Leary was born May 18, 1931, in Girard, the daughter of James and Ellen Curtin O’Leary. Sister Mary graduated from St. Patrick Elementary School and Ursuline High School in 1949. She entered the Ursuline Sisters on Feb. 3, 1952, and entered the novitiate on Aug. 17, 1952. She made perpetual profession of vows on Aug. 10, 1957. Sister Mary earned a BSE from Youngstown State University in 1959 and an MA with a Reading Specialization from Cardinal Stritch College in Milwaukee in 1967. She also did post-graduate work at St. John College, Cleveland, Steubenville College, the University of Notre Dame, and YSU. After graduation from YSU, Sister Mary began 58 years of active ministry. She taught at St. Nicholas in Struthers, Immaculate Conception in Wellsville, and Sacred Heart, St. Charles, and Holy Family elementary schools in Youngstown. She also served as Principal of St. Charles and Our Lady of Peace in Canton as well as Assistant Principal and Registrar at Cardinal Mooney High School. Sister Mary served the Diocese of Youngstown as Director of Certificated Personnel from 1982 to 1986. In 1986, Sister Mary was appointed the Treasurer of the Ursuline Sisters of Youngstown and Director of Finance, a position she held until 2002. Under her leadership, the Ursuline Sisters computerized all financial records, helped to establish and implement investment policies and began financial forecasting. Beginning in 2002, Sister Mary continued to serve the Ursuline Sisters and their ministries, including regular tutoring at Ursuline Preschool & Kindergarten and Beatitude House. Sister Mary leaves her Sisters in the Ursuline Community; a sister-in-law, Florence O’Leary; numerous nieces and nephews, great-nieces and great-nephews, and cousins. She was preceded in death by her parents and her brothers, Timothy, David, James, and John O’Leary. A Mass of Christian Burial will be celebrated on Thursday, Jan. 24, at 5 p.m. at the Ursuline Motherhouse, 4250 Shields Road in Canfield. Friends may call beginning at 3 p.m. until the funeral. Burial will be on Friday at Calvary Cemetery. Arrangements are by the Higgins-Reardon Funeral Homes, Boardman-Canfield Chapel.